2018 was an exciting year for Florida’s commercial real estate market. New developments have come to fruition, leadership changes at major companies, metrics around the state are positive, and analysts are generally bullish on the market here with ambitious predictions on the horizons. We are now looking at the prospect of progress in 2019. We’ve compiled some of the biggest news and most influential headlines around the state to put this year into perspective so far. Each article sheds some light on what’s to come vis-a-vis developments and deals. This update includes: a new acquisition for MMG Equity Partners, healthcare real estate demand, another Amazon fulfillment center in Florida, Virgin’s vision for Miami, and developments & acquisitions in downtown Miami. Tamarack Resort Holdings investor Imperium Blue is a joint venture with The Imperium Companies, MMG Equity Partners, and Blue River Family Office Partners. Tamarack Resort is located in the West Central Mountains, north of Boise, Idaho — one of the nation’s fastest growing cities. Peppertree Plaza in Margate is anchored by Office Depot and Winn Dixie and was acquired by IMC equity group for $170/ sq ft. Other tenants of the center include: Sam Ash Music, Dollar Tree, and Planet Fitness. Inventory of self-storage properties considered under construction in Miami rose 1% from 15.3% to 16.4% from November to December. Similar demand was witnessed in one of Florida’s secondary markets, Orlando. Demographic swings, including 1/20 Floridians being over 80 years old, and 3.3 million residents being 65+ are contributing to the demand for healthcare real estate in The Sunshine State. The Health District, which lies west of downtown Miami is getting a major boost in the retail sector from River Landing Shops & Residences. River Landing is the largest retail developments in Miami currently. Tech giant, Amazon, opens a new fulfillment center in Sunrise, Florida as a means of enhancing their services for customers in the area. Voters could decide the fate of Club Internacional de Fútbol Miami, as city officials and team owners try to find a suitable location and deal for the Miami-based soccer team. Shipmonk, a fulfillment order service and inventory management software company, signs lease for 170K sq ft facility in Ft Lauderdale. They recently raised $10 million in investment rounds and are quickly expanding throughout the nation. Richard Branson’s ever-popular global conglomerate wants to operate planes, trains, and cruise ships out of the South Florida hub. Virgin has already operated via the skies in Miami since 1986, but they plan to have the first cruise ship sail out of the city’s harbor in 2020. MRR Development is in talks to purchase Price Choice supermarket in downtown Miami to make way for 1.4 acre mixed-use development site near Omni. The acquisition of the building in Pembroke Pines, currently operated by Petco, is a further move from healthcare businesses to expand services. Memorial Healthcare System is based in South Florida. While this is not specific to the South Florida region, it is certainly one of the most noteworthy news developments in the retail sector nationwide. Sears has been in operation for 125 years and will close officially just in time for the 2018 Holiday Shopping Season. A breakdown of how implementing the latest technologies can create financial benefits for investors looking to profit from the commercial real estate sector. Giles Capital Group, Rosemurgy Properties, and Schmier Property Group (in partnership with Wheelock Street Capital) break ground on a $200 million mixed-use project in South Florida. The development features 150,591 SF of retail space & 456 Class A apartments. Colliers International South Florida’s Urban Core Division puts two downtown Miami properties on the market, as inventory is scarce and investor interest remains sky high. The 33-year-old Brickell office tower sale bolsters the fact that investors are still very much interested in Miami office real estate. The tower was 87% leased during the transaction. Vacancy Rates stayed below 4% (3.9%) for another consecutive quarter even with Asking Rates hovering around a high of $40/ SF. Hurricane Michael was one of the largest storms in recent US history. Estimates state that over 200,000 multifamily units were damaged in the process. The 5.5 mile Miami River will be accompanied by waterfront restaurants and retail shops along its banks. This is seen as a nationwide trend taking place around the United States. X Miami’s retail floor space sold for $6.3 million. The deal was brokered by Fabio Faerman, the CCIM of FA Commercial Advisors, who represented both the buyer and the seller. A list of the largest office sale transactions around South Florida during the month of September compiled by The Real Deal. Miami-Dade Commission approved master plan for the American Dream Miami, set to be the largest mall in North America in 2023. In 2017, Florida’s CRE market accounted for $189.4 billion to the state’s total GDP. One of the primary contributors is construction, which grew 54.6% from 2011 to 2017. 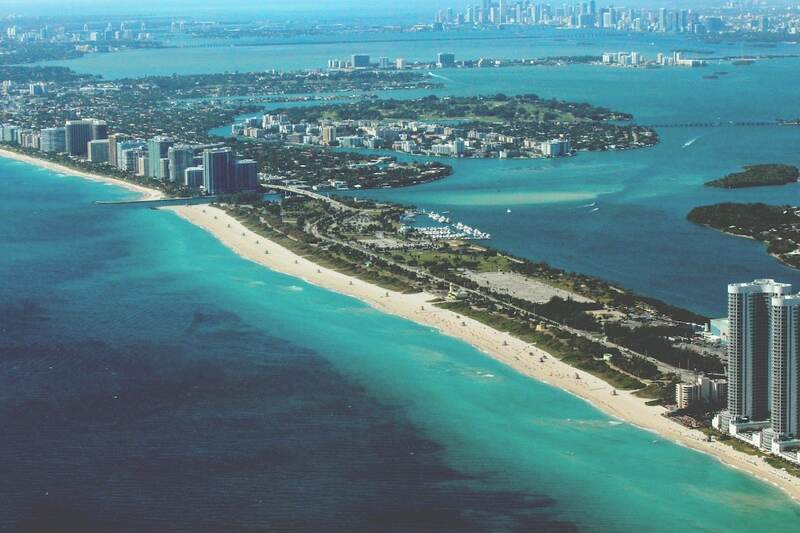 Foreign investors continue to bring capital into the region with Miami currently ranked #4 out of 15 highlighted real estate markets trending in 2018. The $22.5 million garage will be a state-of-the-art, modern design with several retail venues on premises. It’s no secret that a growing population stimulates economic growth. 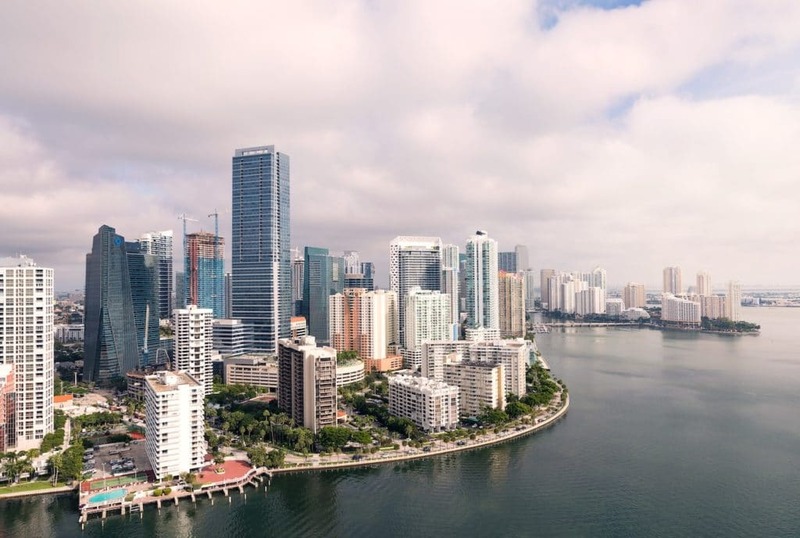 More people than ever are now living in Downtown Miami, and are also raising their families in the metropolis. Despite Miami’s propensity for using automobiles as a primary form of transportation, one company is set to change the transit landscape in the coming years. The development firm of Miami Dolphins owner, Stephen M Ross, is planning to build an 18-story building in Palm Beach. The project is estimated to generate 700 jobs and host around 1,000 employees once completed. TSF Sportswear, a top wholesale apparel distributor, is relocating their HQ into a class-A warehouse in Pompano Beach. CBRE compiled a report of the most expensive and most affordable cities in terms of office space. Jacksonville, Florida is listed #8 on the list. Reducing the presence of motor vehicles in exchange for more pedestrian-friendly zones is positively affecting the retail outlook for neighborhoods in Ft Lauderdale, Florida. Tom Farmer who previously worked at Franklin Street, CBRE, and Terranova Corp newly announced as Vice President of Colliers South Florida. Unicorp National Developments is planning an 82-acre residential project with retail components throughout. Some of the retail tenants will be “one of a kind”, and they are drawing on inspiration from Las Vegas’ Bellagio fountains as an idea of one of the features.